The Impostor Syndrome convinces us that we’re not worthy of our own successes. Find out how to defeat your inner impostor. Do you worry that people will find out that you aren’t nearly as competent as they think you are? Do you attribute your success to luck and timing; but your failure to your inherent inability / incompetence? 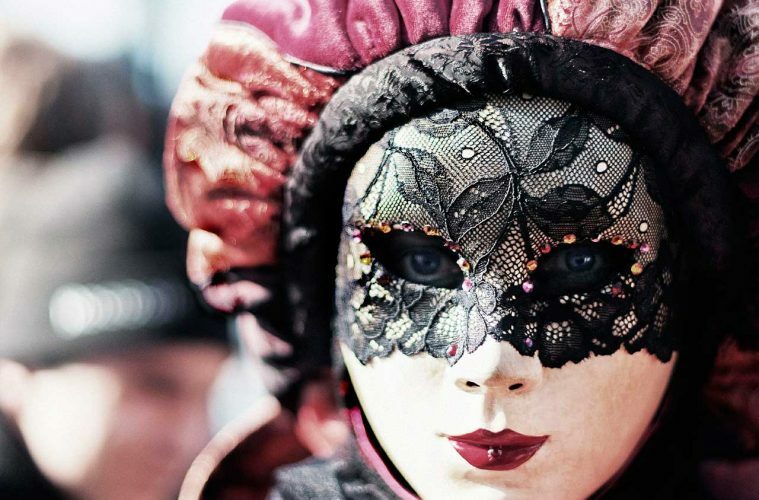 Good news: If you feel like an impostor; you probably aren’t. Each time I post an article to social media, or speak in front of a class I truly question the wisdom of letting people see my work. At this very moment, I am convinced that the whole world is going to see past the thin veil of action and know just how big an impostor I am. The good news is, I am in great company for feeling this way – nearly 70% people feel like an outsider / impostor in their own areas of work at some point in their lives! And it’s not just the average Joe either. Even high-achievers who have reached the pinnacle of success can fall victim to the impostor syndrome. This includes celebrities like Chris Martin, Emma Watson and Meryl Streep; billionaire Facebook executive Sheryl Sandberg and even the world’s most famous genius, Albert Einstein. According to Pauline Clance and Suzanne Imes who coined the term in 1978, The Impostor Syndrome is a state in which high-achieving individuals find themselves unable to internalize their accomplishments. People who experience the Impostor Syndrome live in persistent fear of being exposed as a “fraud”. They deflect compliments and approach new situations with anxiety and stress. They attribute their successes to external factors like luck, timing, a great team, or even to being ‘likable’. Failure or lack of perfection, on the other hand, is taken as proof of their Impostor status. Some people struggle with this feeling on an everyday basis. Besides the persistent feeling of being an impostor, these individuals also tend to demonstrate certain other behaviors. They tend to work more diligently, or become more obsessed with detail and perfection. Alternately, they may avoid the task at hand or procrastinate excessively. They feel like they are a phoney, and so will turn to being attentive and charming to develop their relationships. These people will also downplay their successes and typically show very little confidence in their achievement and abilities, insisting on raising the bar in order to “deserve” their success. 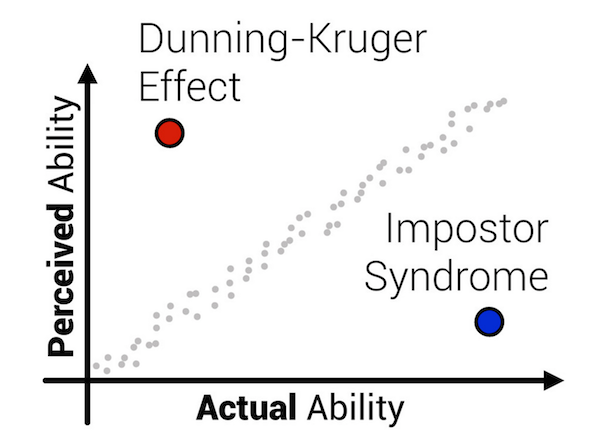 In a sense, the Impostor syndrome – also known as the impostor phenomenon or the fraud syndrome – is just the opposite of the Dunning Kruger effect (DK). People who suffer from the DK effect are overconfident and overestimate their knowledge and abilities, but in reality, they know very little about their field of expertise. On the other hand, the typical person with Impostor Syndrome is high achieving and accomplished, but tends to underestimate their abilities and undervalue their output. Ironically, impostor syndrome tends to affect people who are actually quite good at what they do. The problem is rarely down to the quality of their work – the sense of being an imposter seems to be more related to their personality, upbringing, and social expectations about success. For example, people who had over-protective fathers or strict upbringing are more prone to suffer from impostor syndrome. Also, women, particularly those working in male dominated fields are more more likely to feel like ‘impostors’ – as are creatives and academics – fields where there is constant scrutiny. Sometimes this can lead to real and sometimes crippling self-doubt. Outsiders, or those who do not fit traditional notions of ‘successful’ or ‘powerful’ are also more susceptible. Cultural and sociological factors may also play a role in making people feel uncomfortable with their success – for example, people coming from Eastern cultures tend to feel very uncomfortable when made aware of their success. One of the biggest hurdles to breaking away from the impostor syndrome is the nagging fear that it’s all true – that you are indeed an impostor! The good(?) news is, if you feel like a fraud; you most likely are not one. Actual fraudsters report high self confidence and positive moods. Con-artists and scammers exhibit higher than average levels of narcissism. They believe that they deserve all the success that they receive, regardless of how and where it comes from. Invariably, they are surprised to be found out (if they are); and defend their worth to the very end. Thus, a real impostor is the least likely candidate for a bout of nerve-racking impostor syndrome. 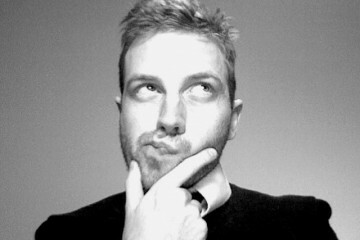 The first step is to find out whether you do feel like an impostor, and if so, to what extent. Dr. Clance has developed a simple test that helps identify the presence and extent of the Impostor Syndrome. Once you are able to identify the Impostor Syndrome as the fodder for your self-doubt, you will start to feel it’s grip loosen. The next step is to talk to someone you trust and let them know what you are experiencing. Talking about the experience helps lessen it’s intensity because others are often able to give us objective feedback that can hep us see our competencies better. It’s important to differentiate failure from incompetence. Everyone makes mistakes; and everyone is imperfect. This doesn’t make them frauds, just human – and the same rules apply to you as well. Lack of perfection is what gives us the opportunity to grow and learn. At such times, it’s important to take the opportunity and keep trying. For some people, it helps to think of positive experiences or indulge in activities that make them feel good. For others, it helps to look at objective third-person data about how they are actually good at their work. Ask yourself some honest questions? Did you get a commendation or a positive review? Keep a copy as a handy reminder. Did you receive positive feedback? Do your colleagues turn to you for guidance and support? Take such experiences that validate your expertise and use them to remind you that you are not a fraud. The impostor syndrome is not a recognized medical condition. But it can inhibit many from attaining their full potential. Identifying it and responding to it can help people push through their fears, enjoy their success and also learn from their failures without condemning and doubting themselves at every step.